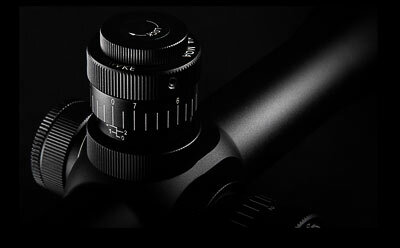 ...available in ¼ MOA, &frac18; MOA & ⅒ MRAD. Hawke’s patented interchangeable turrets allow for changing between ¼ MOA to either &frac18; MOA or ⅒ MRAD to suit your shooting preference. Each turret is equipped with a locking dial on its top, so no accidental click movement can happen during transport or use. A built-in scale shows clearly how many full rotations have been made when dialling between distances. By simply unscrewing the locking collar the turret can be lifted off and removed from the scope. 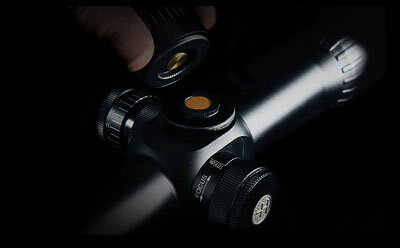 When removed the scope remains sealed against air or moisture ingress. Each turret has indexed teeth to ensure that the location and alignment are kept during installation. Push down on the turret, screw the locking collar back down and the scope is ready for use. Sidewinder ED interchangeable turrets are a patented design: WO 2016/051312 A2, CN 104729360, GB 2524348A, T W201614316A.